What happens at a pony club rally? What will I learn by attending pony club rallies? How many rallies can I attend each month? What if I can't attend a rally? What if I'd like to ride a different pony at a rally? Will Clevedon Pony Club be a good fit for my pony and I? At our weekly rallies, members ride their ponies or horses in small groups under the instruction of qualified coaches. Riders are grouped depending on their riding ability and/or certificate level. At roll call the head coach places riders in their groups and allocates them a coach for the rally. Coaches will check each rider's gear and tack before beginning instruction. Our rally coaches are qualified and we try to ensure a sensible ratio of riders (1:5) in each group. Instruction is for 1.5 to 2 hours plus a horse management session, though the format may vary. Directly following roll-call, parents/caregivers are expected to assist with setting up equipment or with any other jobs that need doing around the club. After jobs are done, parents are free to watch their children. At the end of rally, parents/caregivers should help put away any equipment. Hot dogs, toasted sandwiches and other goodies are available for purchase from our kitchen after rally. Clevedon Pony Club's rallies focus on teaching riders skills that enable them to enjoy the traditional pony club disciplines of dressage, show-jumping and cross country. We also know there are many other ways to enjoy time with horses, so sometimes we mix it up a little and provide instruction and exposure to other equestrian disciplines such as mounted games and even a taste of things like western riding and vaulting. This is one of the things that makes Clevedon Pony Club special and such a hugely enjoyable experience for our riders. We also provide non-ridden horse management (HM) sessions, where members take part in fun and interactive sessions to learn about things such as feeding, paddock management, horse healthcare and more. Riders are encouraged to attain certificates as they progress through Pony Club, starting with D certification through to H. Riders gain each level of certification by demonstrating a progressively more accomplished level of riding proficiency and sound knowledge of horse management. Saturday rallies begin at 9.30am sharp, with riders tacked up, mounted and lined up for roll call by 9.20am. Week-day rallies begin at 5pm sharp, with riders tacked up, mounted and lined up for roll call by 4.50pm. Because weekend competitions can impact senior rider's availability, we also offer senior riders the option to attend 2 week-day rallies per month which will provide coaching in specific disciplines. Only 4 mounted rallies can be attended per month, so if you attend 2 week-day rallies, you may only attend a further 2 Saturday rallies. You may attend all 6 rallies in a month, but 2 of your Saturday rallies must be unmounted and you may find yourself in a coaching capacity! Is Pony Club right for me? 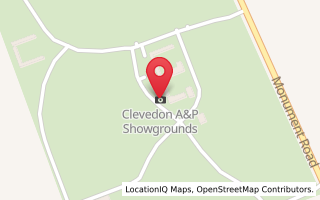 Want to make sure Clevedon Pony Club is the right fit for you? Try us out! You may attend three mounted rallies at no obligation. Cost is $20 per rally and must be booked in advance with our head coach. You will also need to sign a casual membership form and be briefed on health and safety prior to riding. If you wish to join the club following three trial rallies, full membership payment must be made prior to attendance at the fourth rally. If you are riding a different pony than usual, please advise the roll taker. At most of our club or district competitions you will only be allowed to compete a pony if you have ridden it at three rallies, so it's important to let the roll-taker know if you are riding a different pony to your usual mount. It is REALLY important to inform the head coach if you will be at a rally. Please do this by Wednesday the week prior to rally. This ensures we do not have too many or too few coaches to teach at each rally.